An investment in knowledge pays great dividends. Knowledge will offer you stability and balance. Knowledge expands the horizons, opens up new frontiers and pushes down boundaries. 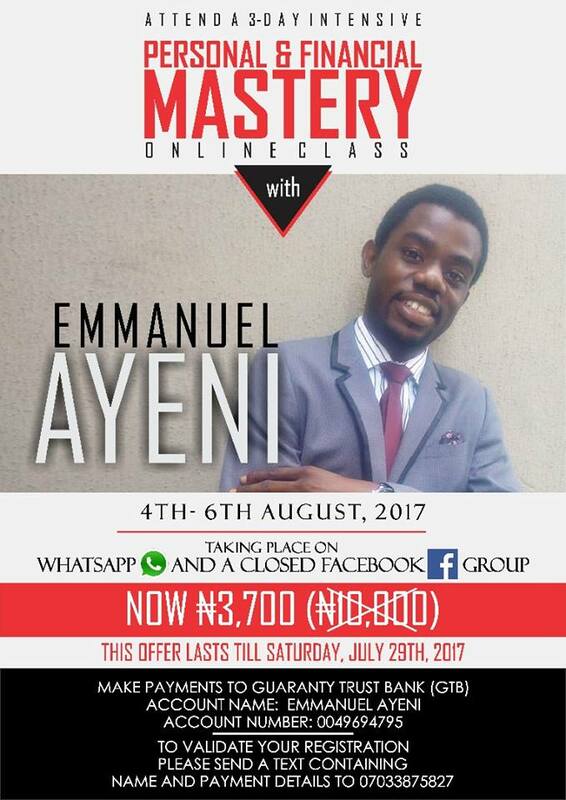 Your knowledge bank must grow daily for your bank accounts to really grow daily. Go for knowledge, pursue it like a treasure from the sea. 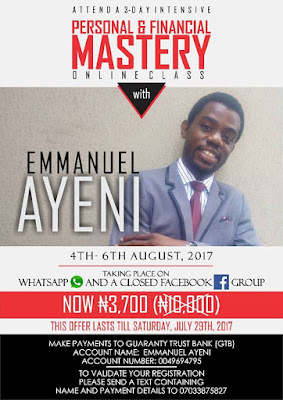 Go ahead and join my 3-Day Intensive Money Mastery Class coming up on 4th to 6th of August, 2017. PS.. You want to get in now. The price goes back from #3700 to #9,900 in 24hours.